Every structure needs a strong foundation. The OKN Asset-Building Toolkit is constructed of valuable resources and information that have been used by Halton professionals for years in building Developmental Assets. They’ve also used the toolkit to help families build Family Assets. Important accomplishments, but we felt something was missing to make this work really concrete. It was the Search Institute’s Developmental Relationships Framework that steered us to a missing key ingredient – relationships. This important foundation focuses our attention on the central element of relationship building, which underpins the Developmental Assets and Family Assets work. 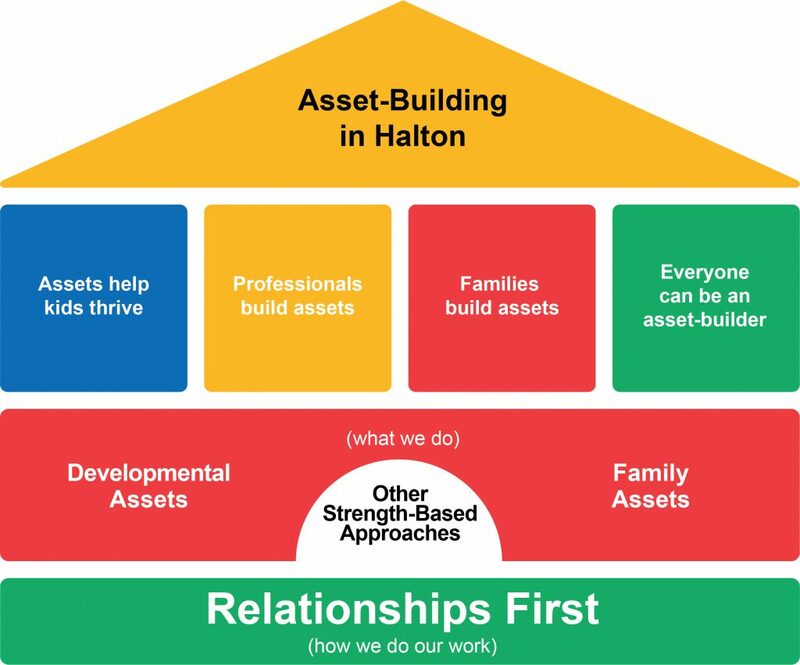 All Asset-Building in Halton is grounded in relationships. Relationships with each other, our children and youth, our families, and our communities, are the foundation of successful interactions, interventions, programs and outcomes. We can build assets more effectively and efficiently if we build meaningful relationships first. Health Canada says that relationships are protective of many positive health outcomes. Josh Shipp, a teen expert with lived experience, supports this thinking in his story about the power of one relationship in his life. Leaders can consider the preconditions necessary in organizations for relationships to thrive, and address barriers to building relationships by reviewing this summary from the Search Institute. These examples are just three of numerous new resources that have been added to the “relationships foundation” of the improved Asset-Building Toolkit. Watch for a highlighted NEW! as you tour the website. Did you know use of the Asset-Building Toolkit is going up year after year? People in Halton, Canada and well beyond, are accessing and using this comprehensive resource that we built together. We know about the power of relationships in Halton. In the spirit of continuous improvement, this NEW and IMPROVED toolkit gives us even more tools, ideas and resources to elevate relationships in our work. Take some time to explore our renovated Asset-Building Toolkit and discover how you can use it in your work today. Neighbourhoods Can Help Kids Thrive! We can Count on Each Other in 2019!